Its small, lightweight design means you won't feel like you've been lugging an extra appendage all day. The rear touch-screen display makes it easy to navigate shooting options with your fingers. 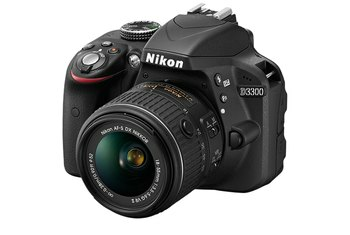 Full 1080p high-definition video recording plus a microphone input make this a good choice for SLR video. The display is fixed, not articulating as many of its competitors offer. The camera's 4 frames per second burst mode limits what you'll capture of your lightning-fast toddler or the action at the baseball game. It has barebones features and shooting options, as compared with its newer, pricier siblings. The Canon Rebel SL1 (also sold as the 100D in Europe) may not be the newest camera you can buy, but it remains one of the smallest and lightest digital SLRs available. The SL1 lacks the articulating display of larger, pricier models, offers a baseline selection of shooting features, and has a slower burst mode. However, its reasonable cost targets those looking to test the waters of owning a digital SLR without stepping up to the more costly--and physically larger sized--models. It misses out on our top award as I honestly think most people buying an entry-level DSLR would be better-served by a mirror-less camera these days. But for those who understand the differences and would genuinely prefer a traditional DSLR, the EOS SL1/ 100D represents a compelling option and a decent upgrade over the company's previous entry-level model, the EOS T3 / 1100D. Perhaps our biggest bug with this camera is the hyperbole which is associated with being the world's smallest and lightest DSLR. Does that really mean anything when lenses are still big and heavy? 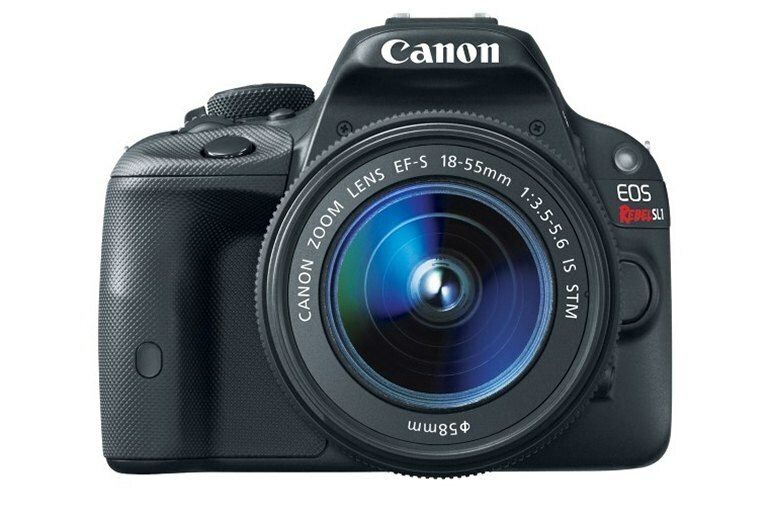 Add in the EF-S 18-55mm f/3.5-5.6 IS STM kit lens -- which is relatively sharp and very smooth and silent when recording movies -- and some serious video recording skills, and the Canon SL1 is much more than a cute, tiny Rebel. 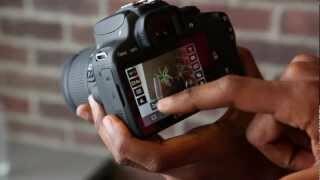 It's a camera that needs to be taken seriously, and should appeal to a wide range of photographers, beginners and enthusiasts, who want a small body but the benefits of a DSLR. There aren't a lot of bells and whistles. Wi-Fi, which is becoming more common in interchangeable lens cameras, is absent here. Movies we shot were also quite good. Color was accurate and rolling shutter was barely noticeable; however, there were occasional exposure shifts and the video wasn’t nearly as sharp as the stills. The result is a mature camera for the family photographer that's not a burden to bring along, but which can also serve as a reliable, lightweight backup for a more knowledgeable photographer. 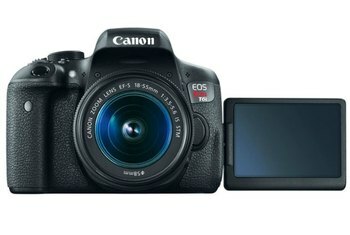 You can also get the same performance from a mid-range mirrorless camera that will be even smaller. But the Rebel SL1 is a compelling choice for its mix of size, performance, optical viewfinder, and dead simple ease-of-use. Like the rest of the Rebels, though, the viewfinder has tiny little focus points that are almost impossible to center over your subject while shooting burst. You pretty much have to rely on happy accidents to get sharp, correctly framed action shots. 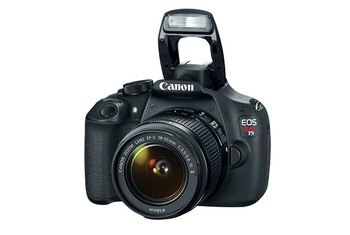 The Canon EOS Rebel SL1 / 100D delivers pro-grade image quality from a tiny and light package that looks as great as it performs. 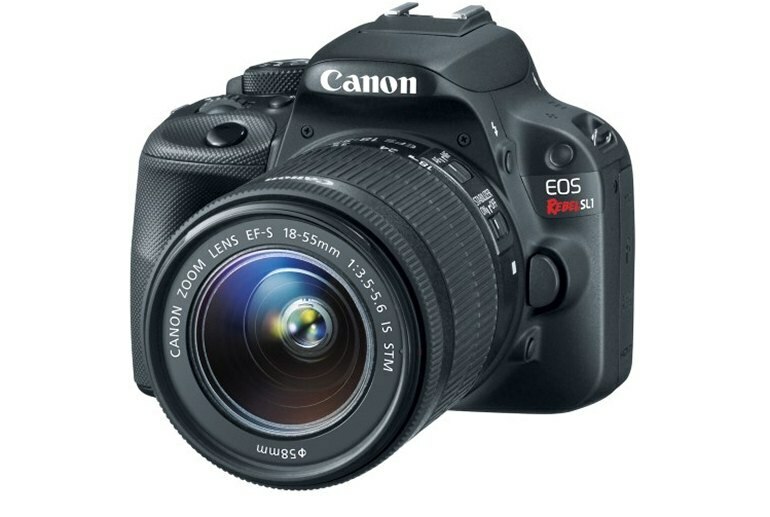 If impressive image quality in an extreme light weight & small size but still fully-capable, full-featured DSLR camera appeals to you, the Canon EOS Rebel SL1 / 100D has your name on it. The performance of this camera at ISO 6400 is exceptionally clean. In the grand scheme of sensors with a similar or close number of megapixels and that are APS-C sized, the SL1’s sensor delivers images that are a little better than all the rest with the exception of those from Fujifilm. The camera’s grip is so small that we’d challenge any adult (or even a big kid) to keep a pinky on the thing while shooting. Most of the time, we had both pinky and fourth finger tucked up underneath the body. The only things of value missing in the SL1 are advanced controls that save advanced shooters time to set — but there simply wasn't enough room to fit these on the outside of the SL1! You can make all the same settings, but it usually takes a few more menu clicks. Excellent small DSLR for the price; Good for beginners. Excellent camera for the price. I've had no complaints for the one and a half years I've used this. 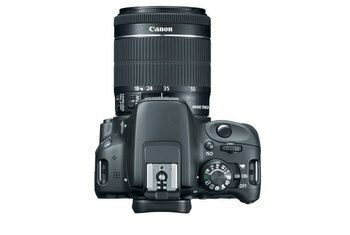 When looking for DSLR cameras to use, this one fit almost everything I wanted. It is small and lightweight, which I needed to fit into my small hands. It is also compatible with any of Canon's standard lenses. I have two batteries to ensure that I can use the camera all day long, although sometimes I don't even need the second battery. The touchscreen and tap to focus feature is one of my favorites, making photography easier than ever before. The only feature that I have missed on this camera as opposed to others is that the screen doesn't pop out or flip around. This is an inconvenience at most, but if you're wont to take a selfie, then it's a little more difficult.